Virtual reality headsets, like the HTC Vive, are bulky and need lots of power. Apple has quietly acquired a German company, SensoMotoric Instruments, which can track people’s eye movements. It isn’t clear how much Apple paid, but the company certainly tried to keep the acquisition quiet by purchasing it through a shell company called Vineyard Capital. On the face of it, this looks like a pretty niche virtual reality play. Eye tracking is generally considered pretty important in making the user feel immersed in virtual reality. Imagine you were playing a horror game where you swore things kept moving when you weren’t looking. It’s the headset’s ability to track where you’re looking that gives you that feeling. But Apple’s acquisition of SensoMotoric might be much bigger than making augmented and virtual reality look and feel realistic — it might be the key to making the technology mainstream. Before Apple bought the company, SensoMotoric was showing off just how good its eye-tracking technology was. 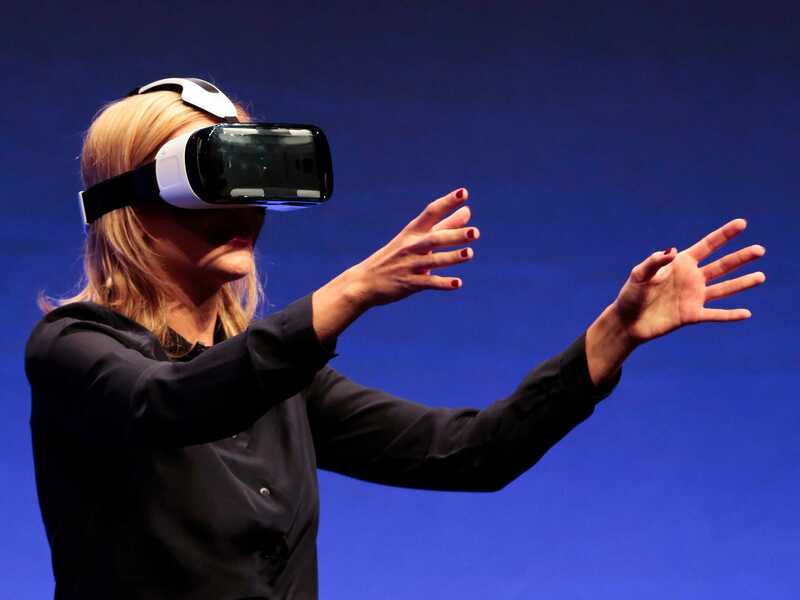 The company did the rounds of tech trade shows last year, like the Consumer Electronics Show, showing off versions of the Samsung Gear VR and the HTC Vive with its technology built in. Foveated rendering means a VR headset can save power by only showing you a high-resolution image where you’re actually looking. Anything in your peripheral vision is less high-resolution. Overall, this means games can look better in VR without a bunch of extra processing power. This is a big deal. Current VR headsets are pretty bulky and most have to run tethered to a PC because they require so much computing grunt. Anything that reduces that load is a major step forward. And anything that leads to smaller VR headsets will probably help encourage people to buy them. SensoMotoric’s tech is also potentially huge for mobile VR. Foveated rendering should mean running virtual reality apps on your phone won’t kill the battery life. That’s currently a big drawback in mobile virtual reality — poor quality graphics that use a lot of processing power. Before Apple bought the company, SensoMotoric was so confident in its tech that it partnered with ARM to show off how it could make mobile VR higher quality. It also partnered with Qualcomm on a VR reference headset, which one reviewer described as more impressive than any other headset. A reference headset is designed for other manufacturers to copy, using Qualcomm’s technologies. What we don’t know yet is whether Apple will integrate SensoMotoric’s technology into the iPhone somehow, but it feels likely. Google bought a similar company, Eyefluence, in October last year and has integrated the team into its Daydream mobile VR project. There’s also a chance Apple bought the company for its intellectual property, given SensoMotoric holds multiple patents relating to eye tracking and virtual reality. In short, SensoMotoric was so confident it could persuade the big VR manufacturers to integrate its technology, that it didn’t bother selling its own modified headsets to consumers. And now Apple owns it. Are we ready to live in a virtual world?